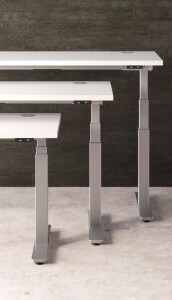 During the month of June, all Hon adjustable height tables are 50% off list price with FREE delivery and installation! For more information please complete the form below, call us or stop in our showroom to see how they work for yourself! Please complete the form below to set up a FREE consultation with a workspace design specialist today.